Sarah from Glutenfreedairyfreewdw.com joins Christy and I to discuss all aspects of sailing Disney Cruise Line with food allergies. Sarah is a wealth of knowledge, who has been covering visiting Walt Disney World to Disney Cruise Line with food allergies for years. 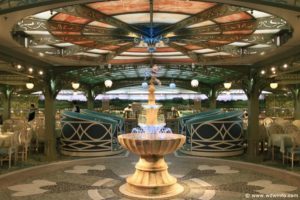 We discuss everything from how to successfully navigate the main dining rooms, Cabana’s, Palo, Remy, and even Cookies 1 and 2 on Castaway Cay during your next Disney Cruise. If you would like to find more information on sailing with food allergies, you can reach out to Sarah through her website link below, and on Facebook and Twitter. Enjoy everyone.